Hiccup and Astrid along with their dragons Toothless and Stormfly bump into an ice-house while exploring. They meet a man named Eret who tries to capture them. They find out Eret to be working under a dangerous man named Drago Bludvist, who captures dragons and has them under his control. Hiccup and Astrid escape from the enemies and return to Berk, their town, to warn Stoick, Hiccup’s dad about the enemies. But when Stoick comes to know that their enemy is Drago Bludvist, he orders the gates of Berk to be closed. Just when the gates are about to be closed Hiccup along with Toothless escapes into the open believing that he can convince Drago Bludvist not to capture dragons, and talk sense into him. While they travel about, they meet another rider on a bigger dragon who captures them and takes them to an unknown place. Hiccup finds the rider to be his long-lost mother whom he believed was dead long ago. She shows him a protected nest- a whole new world- in which hundreds of dragons thrive under the Alpha dragon Bewilderbeast. Just then, Stoick follows Hiccup to the dragon nest, where he finds his wife alive. He is more than happy, and ready to do anything for her. Meanwhile, Astrid and the other dragon riders kidnap Eret and go to Drago Bludvist. Drago Bludvist is very angry with Eret for leading the riders to his place. Eret changes sides and starts supporting the riders. 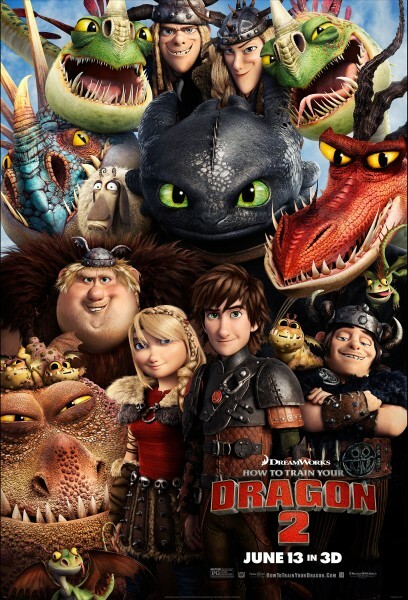 Drago captures them all, and learns about Berk and the dragons there. He goes to the dragon nest and produces his own Alpha dragon to challenge Bewilderbeast. Bewilderbeast is defeated in the battle. All the dragons surrender to Drago. In this battle, Stoick, Hiccup’s father is killed by Toothless(when Toothless is controlled by Drago’s Alpha). Drago takes Toothless- the night fury- for himself. He moves on to capture the dragons of Berk. Hiccup the hero, goes with his friends to Berk on baby dragons, revives his best friend- Toothless- and defeats Drago Bludvist. Toothless, the dragon of the hero, defeats the Alpha. Berk is saved. Hiccup becomes the next Chieftain of Berk.